Discover 27 ways to reduce bounce rate – the easiest ways to improve visitor engagement, better organic search rankings, attracting more traffic and ultimately converting more visitors into paying customers. 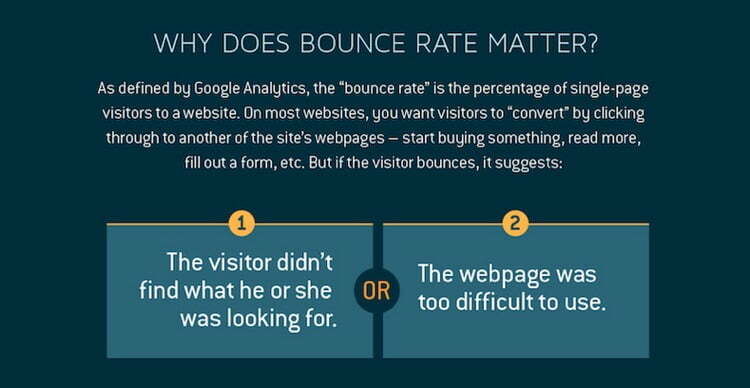 Your website’s bounce rate is a measure that tells Google, and you as the site owner, what percentage of visitors immediately leave the site after seeing just the one page they landed on. Having a low bounce rate is good, while a high bounce rate rate is bad. People are growing increasingly intolerant of popups. If you’re using them, think twice, then check your bounce rates and think again. One type of popup that is acceptable still is the exit intent popup. In this scenario, those who are about to leave your site are enticed to stay with a steep discount or a bit of valuable free content. If they click on it, they go to another page, thus improving your bounce rate and their satisfaction at the same time. People visit your site for the content they saw in the search rankings summary. They are most definitely not appreciative of numerous assaults on their senses by a bunch of advertisements for X, Y and Z. If you want to keep people on site, stop giving them reasons to leave and stop battering them with the same advertisement over and over again. As Content Marketing Institute reveal, “200 million people now use ad blockers.” That drives home the public dissatisfaction with ad spam. If someone clicks on something and it goes nowhere or to a 404 page, you can be assured they’re unhappy. A high percentage of the time, they’ll bounce. The easiest way around this problem is to regularly check your site for broken links. A crawler, like Screaming Frog, is one way of doing it. Another is to simply install a broken link checker plugin (if you’re using WordPress or similar CMS). It used to be the case you could just load up Internet Explorer on your desktop computer and make sure pages loaded okay, and looked attractive. Now that Chrome, Firefox, Safari, Opera and other browsers are becoming popular too, the job of a designer is getting more difficult. Check cross-browser compatibility to make sure you’re not delivering a bad experience to a large percentage of your visitors. Find it, fix it, enjoy the result. It’s not just nice to make sure that those with limited sight or hearing are able to use your site – it’s also a legal requirement. Don’t forget about those with color blindness and other challenges that could render your otherwise lovely site, completely unusable. Break up your ideas into several paragraphs, make each one short and punchy with a clear point and a clear actionable item, where appropriate. 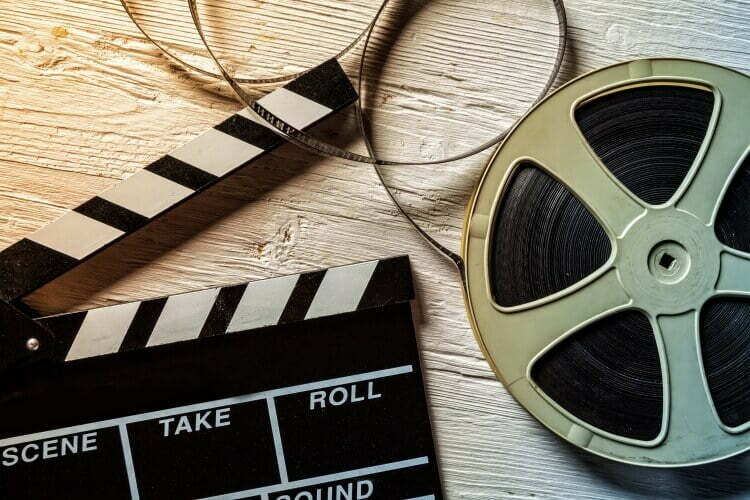 If your readers are taken to your site and immediately hear an audio or video, it not only can slow down your webpage’s load time but also irritate them. Allow them to choose to play it. The idea behind navigation is to make it easy for visitors to dig, explore and find what they’re looking for quickly. It’s a big relevance signal. Simply add a subnavigation to your site so that it appears only when visitors are in some areas – such as within blog categories, so that there’s more for them to explore then, when it is clearly an interest to them, and doesn’t appear when they’re somewhere else on site. Use context to enable drill-down. Some people will skim until they find items of interest. Others will read every word, trying to glean as much as possible, from every page. Give those wishing to learn and know more a chance to do so by expanding your overall post lengths. After all, the average #1 ranking page for competitive terms averages over 2200 words in length. Unless your target audience is a bunch of PhD candidates, don’t write at the level of PhD candidates. Ever notice that most major newspapers are written for 5th grade readers? It’s easy to consume, so people quickly do just that – consume it. Your goal should be to understand the level of your audience and write so that they can consume your content effortlessly. Don’t write like they’re morons, just make it easy to read. Looking back on out of date posts can give that feeling of nostalgia. Then again, it can also give that feeling of nausea. Don’t get caught out by giving out of date advice that needs updated in order to be accurate. Freshen up your content and your readers will appreciate the relevancy. After someone has digested a nice bit of content, they’re often ready to consume more. We use YARP plugin (Yet Another Related Posts plugin) in order to automatically provide those related links at the bottom of posts and find they are frequently clicked and read fully. People enjoy knowing that for every point of bounce rate they reduce, they’ll increase X% more conversions or generate $Y more profit. 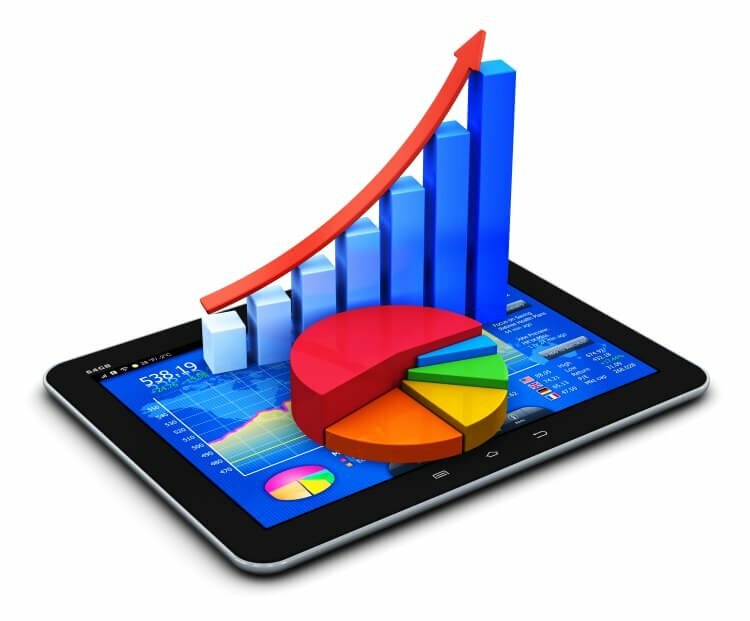 Where applicable, increase the use of statistics, numbers, percentages, ratios, charts and graphs to engage your readers more fully. While updating content is good, updating design is great. A site which is obviously from a bygone era is a great way to alienate visitors to EVERY page of your site, not just one or two. Spend a bit of time and money on looking modern and relevant. You don’t have to be sliding down the razor blade of life on the cutting edge, but you do have to look like you belong in with the contenders of today. If you’re writing long form content, and need to get your visitors engaged and aligned with your brand, one of the most popular ways of doing so is to align your storytelling with something they understand. You might take a David vs Goliath approach, getting them to root for you as the underdog. This is the classic approach of Avis car rental, who positioned themselves as #2, because they try harder they should be considered, not because they were #1. There are many other such storytelling angles, the 31 types of content we crave. Footer links are great, but many people enjoy the feeling of surfing post to post – and that comes most readily when they click on links within posts which take them to related other posts, such as our post on why original content really matters. This is not to say that you turn 3000 words into 6 x 500 word ‘SEO posts’. That’s a great strategy for 2005. Now that it’s 2018, and beyond, the approach is to deep dive that 3000 words into 6000 words and break it into 3 x 2000 posts. You’ll get people to read the whole series who have found themselves hitting any of the 3 posts in the series. You’ve just reduced bounce rate 3 times over! Instead of aiming to write a blog post that will appeal to everyone, everywhere, instead write for a specific audience or a specific situation. This article could have been tailored to 27 Ways Web Designers Can Improve Portfolio Bounce Rate, and would likely have a much higher engagement rate by those web designers who read it. Alas, in this case, there are massive numbers of site owners who can benefit, so we’ve not eaten our own dog food (followed our own advice) on this occasion. Building credibility is a great way to engage your readers during the current post, as well as all future posts. Some of the ways of doing this are by displaying trust signals. Koozai have shared a few trust signals to consider here. A slow website is sure to drive your website visitors away. Anything longer than 5 seconds (Google’s guidelines for websites is at 2 seconds) and your potential visitors can find exactly what they are looking for elsewhere. Test out your websites speed using these tools and avoid using shared hosting since it can really slow down your website speed performance. Two things that can quickly deter your visitors are popups and ads. A popup is, of course, fine on your website. In fact, they can help increase your readership – when done right. Allow your website visitors to get on your page and have a chance to browse around. Then lead them into signing up for your newsletter. Give them at least 20-30 seconds. Also, ensure your visitors aren’t hounded every time they visit your site with a popup. You can change the settings so that they only pop up once every few days instead of daily. Don’t irritate your website visitors by making it difficult for them to find what they want. A search box on your website enables them to search for content on your website, rather than going off your site to Google. Ensure your content is easy to read. Reading nothing but pure text can lose your reader. Break it up with subheaders, images, and even add in video. 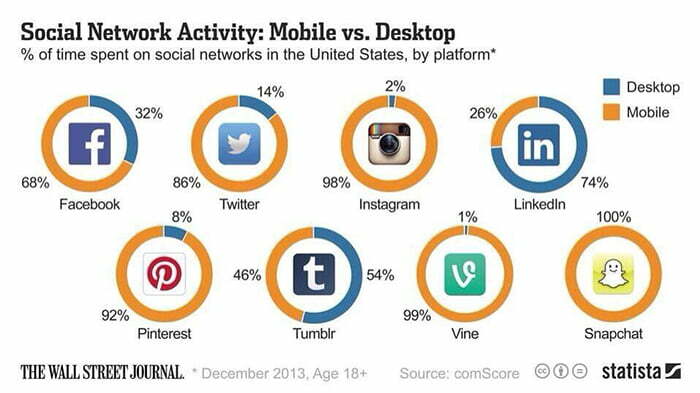 Over 60% of website visitors are now mobile visitors. With that said, don’t you think you should make sure your mobile visitors are happy and content? Mobile users are traveling and often don’t have time to be trying to navigate websites that are not mobile friendly. Ensure your site is not only mobile friendly, but usable as well. When people refer to a mobile-friendly site, they usually implicate it should have a responsive design. Nevertheless, a mobile-friendly site should be more than just that. Your site should look good on your visitors mobile phone, be it Android, iPhone, or any other type of device. The colors should work well. Your links also should be in a manner that users click exactly what they want to click and not be taken to another page accidentally. Test your website for mobile usability using this tool by Google. Your readers should be enticed to do something such as sign up for your blog subscription or click to enter more giveaways on your website. If your content provides no value to the reader, why should they go to another page of yours? 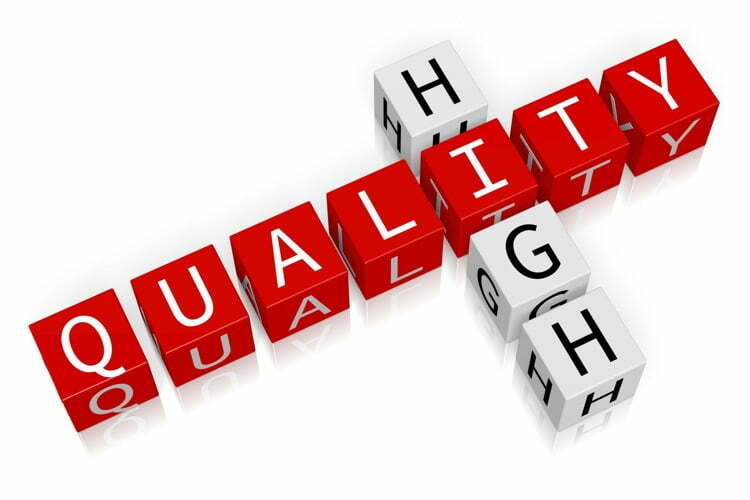 If you do not present quality information on your first page, you could come across as a spam website. Grammatical and spelling errors can turn readers off as well. To come across as an authoritative figure, you need to be as professional as possible. If you are not the best writer, editor, or not able to come up with a catchy article topic; consider hiring someone to do it for you. There are content marketers and freelance writers available who can even schedule your content on your blog for you. Take advantage of this and give off the expert advice and appearance your readers expect you to portray. So how can keywords reduce bounce rate, you may wonder. Well, if a reader stumbles upon your website per a particular search term and you do not fit the bill, they are instantly going to leave your website. Do not try to trick readers to your blog. You only want those that truly want to be there and will engage with your site. Your external links should upload in a new window. If not, it will immediately redirect your readers and create an instant “bounce” from your site. There are many ways of improving bounce rate – you don’t need to do all of them to improve things. Plan which items you can easily implement, do them incrementally, and you’ll find, over time, that your bounce rate progressively improves across many pages. 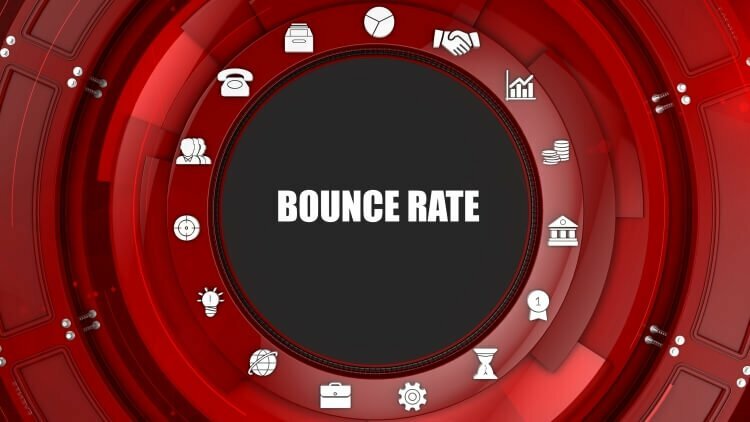 As your bounce rate improves, you’ll find your search impressions increase, your search rankings improve, traffic increases and in so doing, your conversions go up, up and further up! !